What is Wrong in this Viral Picture? Many of my colleagues in education have praised pictures like the one above. A similar picture depicts a teacher chalkboard with cell phones lined up along the bottom ledge, each placed within a box labeled for each student. The premise is built upon taking attendance efficiently, while garnering the smartphones away from each student to then have their undivided attention! The added bonus is to eliminate the aggravation of having to deal with cell phone distractions throughout the classroom period or day. 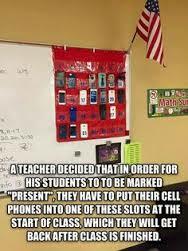 What a fantastic way to efficiently and effectively handle multiple tasks, and eliminate the stress of cell phone disasters in today’s classrooms!! Actually, if you are cheering for teacher’s who are implementing these types of routines, then you are doing the students and their education a disservice! Teachers who feel that an implementation, like the one pictured, is necessary are only trying to hold on to being the sole expert in the classroom. This mentality is literally “Old School”, and needs to stop. 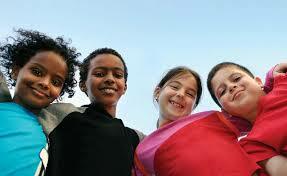 By taking away the technology, one can reason that each student is also having their education taken away from them. The smart phone is a tool that needs to be required in classrooms for students to learn information from, and also to create content to show what they are learning. Engagement is imperative for the classroom of today and tomorrow, and the use of proper tools for their future is important. If you are truly looking for innovative ways to efficiently and effectively handle multiple tasks, why not have students engage with an App to take attendance, allow students a constant flow of information to enhance lessons through the web, and finally challenge your students to use Apps to create content to show mastery of the lessons being taught? By working with technology, not against it, your students will feel empowered to be engaged in your classrooms like never before!